So I registered, what now? Come join us on Discord! Say hello in #Public-Gaming-Chat. Tag @mentor if you have any questions. There are two phases, BLUE and RECRUIT. 2. After introducing yourself on Discord you will enter the BLUE PHASE. This is an approximately two week probation. This period can be shortened by good conduct and overall Discord attendance, playing with 508th members, and staying active on the forums. 3. After your probation period you will be asked to meet with a 508th PIR Staff Member and another 508th PIR Member. You will take an interview on your personal experience during your probation. 4. At the completion of your two week probation period you we will then enlist you into the Recruit Phase if you have meet the standards of the 508th PIR Community. At this point you will have the privilege to wear our tags, 508th|REC. If at anytime you need to take a Leave of Absence (LOA), please feel free to do so. Real life comes first, always. We just ask that you fill out an LOA form on Discord to notify us that you need to take some time off. 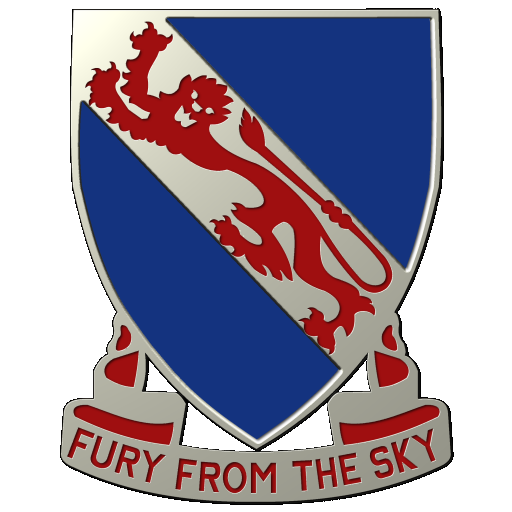 If you have any questions feel free to PM any of the 508th PIR Staff Members or Mentors. So you’ve filled out the enlistment form, but for some reason you decide to leave. Please take the time to post your leave or PM it to one of the staff members so we won’t waste any administrative efforts getting your membership organized. If it’s temporary or due to some other reason that you want to terminate your membership, please first talk to a Staff Member, we can always work out an alternative route. 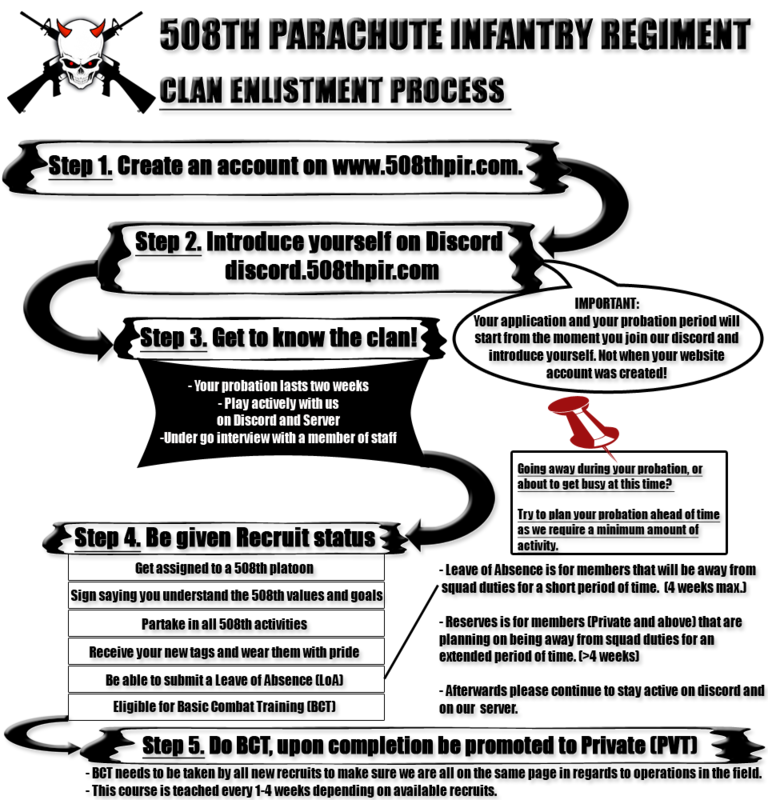 If you have any questions feel free to PM any of the 508th PIR Staff Members.